Take a look at what the 5B Global Course girls have been doing in English Expression class. 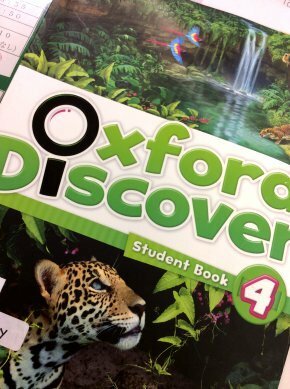 They’ve been using the Oxford Discover 4 textbook and learning about a lot of topics through English. We learned about the universe, solar system and planets, the ancient Terracotta Army in China, dinosaurs, and where our food comes from. For our “What happened long ago?” topic, the 5B girls made a TIME CAPSULE! Everyone contributed something to the time capsule, with a written explanation (in English of course!) about why they chose it. Magazines, photos, little treasures, letters and even a power stone are in the capsule. The 5B girls also filled out a questionnaire in English. Everyone made a good effort with this project ! 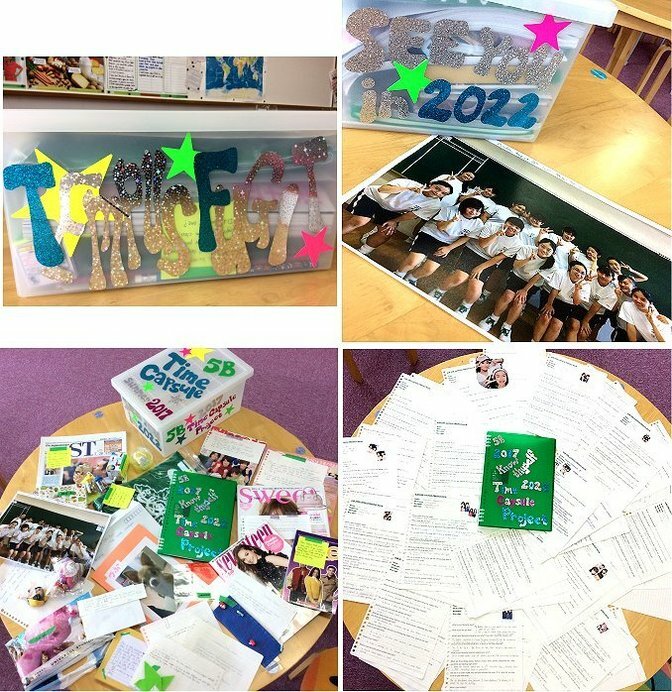 The 2017 5B TIME CAPSULE PROJECT, will be opened in 5 years time, in 2022, at the Eiwa School Festival. I’m looking forward to seeing the Green Girls reactions when the capsule is opened again. WELL DONE 5B, keep up the good work and try hard with the next project too !